Twitter is an online social networking service and that enables users to send and read messages of up to 140 characters. If you are not a Twitter user than you may not know how popular it really is. It is a great way to spread to your message to your followers or fans. Online bingo sites have taken on social media to communicate and interact with their bingo players. 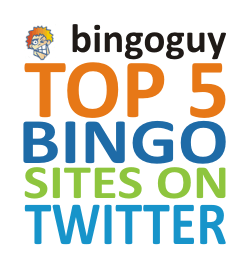 We have researched all the top bingo sites and their Twitter accounts and we would like to present to you the Top 5 Bingo Sites on Twitter. For our measurement of the top sites we have considered how many followers they have which shows their popularity and how many tweets they have made. The more tweets means the more that they interact with their followers which increases their influence. 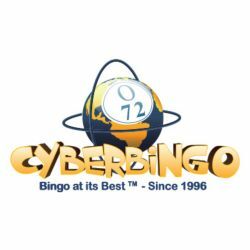 If you use Twitter and want to follow one of the most popular bingo sites than check out CyberBingo. If are a bingo player from the UK and use Twitter than you should think about following Jackpotjoy. If you like to chat while you play bingo and you are from the UK than check the out the Twitter page for Chitchat Bingo. For an exciting UK bingo site with great jackpots check out the Wink Bingo Twitter account for details. If you want to become a Bingo Angel than you need to follow the angels Twitter account. There were a few other bingo sites that could have made it into our Top 5 Bingo Sites on Twitter, but they have not been active recently so we have not included them. If you would like to keep up on all the latest bingo news and promotions than you can also follow Bingoguy Twitter account. We hope that you have enjoyed this article on the top 5 bingo sites on Twitter and please feel free to comment or share.